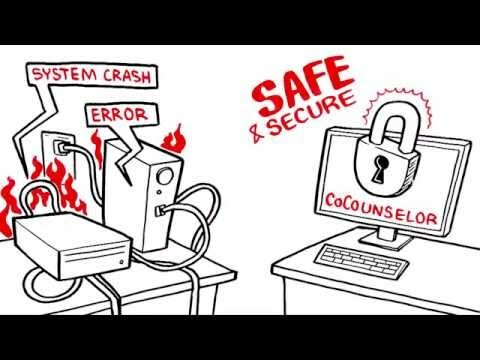 CoCounselor is a law practice management solution built to address the special needs of plaintiff lawyers. It is a comprehensive and intuitive law practice software that enables users to effectively manage their office, cases and workload, as well as track the health of their firm. CoCounselor uses cloud technology, so users can manage the entire practice from anywhere, via computer or mobile device. The solution provides detailed reporting for lawyers to view case status, statutes, referral sources, and income prediction at-a-glance. CoCounselor also includes tools such as email tracking, calendar syncing, legal document templates, and task tracking to help paralegals stay on top of every detail. CoCounselor sends automatic email updates to inform clients of the status of their case for improved communication. Using the task management system, users can assign tasks to appropriate staff in order to keep cases moving. Email integration enables users to sync up inboxes, calendars, and contacts with a few clicks. CoCounselor helps create customized marketing efforts and fresh leads while attracting more clients from an existing database. Users are also able to track new marketing efforts. Lawyers can view how many cases signed up last week, month or year, as well as forecast their revenue. I have 12 years experience as a litigation paralegal, and in those years I've used a multitude of case management software systems. CoCounselor is by far the most efficient and user-friendly system I've used to date. In litigation, keeping track of deadlines is crucial and this program allows me peace of mind as there are dedicated spaces to track statutes of limitation, service, answers, and discovery. I also like the feature of being able to assign date related tasks as a tickler system so I can remind myself of actions needed on any given file when the attorney or client requests an update. The team at CoCounselor has always been more than willing to be of assistance if our firm has any questions, in addition to any changes or suggestions we may have to streamline our client files. They are also eager to help train our team members on reporting features and the other perks of the system. I highly recommend CoCounselor if you are in search of a personal injury case management system. Our firm has seen over a 100% growth in clients in the last year, and CoCounselor helped facilitate that growth with ease.Please see my review - it helps with my litigation case management. Please see my review - it helps with my litigation case management. When entering tasks, sometimes the Case Number and/or the Client name doesn't automatically populate. Some of our team members aren't as diligent in making sure this information is entered, so the tasks will only show up for one or the other but not both. CoCounselor is very easy to use. You can keep track of all clients, how their case is progressing, their medical providers, and any needed insurance information. Our team uses the log a call feature to keep track of things happening in each case. It also has the option to upload forms that will auto generate themselves once you have entered information into the needed fields, this is VERY helpful and can speed up the process to a lot of things! It was very easy to learn how to use. I never worked in personal injury before this so I was coming in learning how to use this type of system with no prior experience. It was easy to understand and navigate within a few days. It also allows you to easily keep track of information. It was very easy to learn how to use. I never worked in personal injury before this so I was coming in learning how to use this type of system with no prior experience. It was easy to understand and navigate within a few days. It also allows you to easily keep track of information. Some fields could have more information in them, or have more things featured on the client page itself but overall since it is so easy to navigate that may not be needed. Very happy to have changed office systems.Works very well for our needs. Customer service has been excellent in addressing system and needs. Modifications have immensely helped tailor to our needs. We were not happy with Abacus program and customer support so this is a refreshing change. Works very well for our needs. Customer service has been excellent in addressing system and needs. Modifications have immensely helped tailor to our needs. We were not happy with Abacus program and customer support so this is a refreshing change. prospects disappear sometimes. They do fix problem immediately WQe really have not had other problems. They listen to issues and then timely respond. Thus far, I have no negative comments to make regarding CoCounselor. CoCounselor provides legal document templates tailored especially for plaintiff lawyers. Users can put their firm on autopilot with workflows triggered from any field. Detailed and customizable reports enable users to keep an eye on the health of their firm. Users can manage the entire practice from home, office, or on-the-go using CoCounselor's cloud technology. Clients receive automatic email updates informing them of the status of their case, reducing any miscommunication. Below are some frequently asked questions for CoCounselor. Q. What type of pricing plans does CoCounselor offer? Q. Who are the typical users of CoCounselor? Q. What languages does CoCounselor support? Q. Does CoCounselor support mobile devices? Q. Does CoCounselor offer an API? No, CoCounselor does not have an API available. Q. What other apps does CoCounselor integrate with? Q. What level of support does CoCounselor offer? Q. Which apps is CoCounselor compared to most often?